It had been while since I updated my prescription, so I had to get to an eye doctor. Meanwhile, I had seen Warby Parker glasses a few years ago. The styles looked pretty good and the price was attractive, so I thought I would order a "Home Try on Kit". I selected 5 of our favorites from the website and a few days later, we received the kit. I tried them all on and silently selected my favorite. Then I asked Katie who not so silently chose hers. THEN, I took a selfie with each pair, edited it in Diptic and posted it on Facebook and Instagram to hear what everyone else thought. The results are below. Clark had the votes, however, it was the only pair in the set that I wouldn't consider "all day" glasses. They were not as comfortable because they were not made for a wide head like the others, so, I had to toss out that consideration in the end. Crane & Barnett were tied for 2nd place (my personal favorite was Barnett, but I continued to go back and forth between them). In an effort to end the stand off, I asked for 2 very special voters: my daughters. When showed the five options, both of them voted for Crane (which happened to be Katie's favorites as well). I sent the prescription in to Warby Parker with my pupal distance measurements and I received my glasses about five days ahead of schedule. Very impressive. 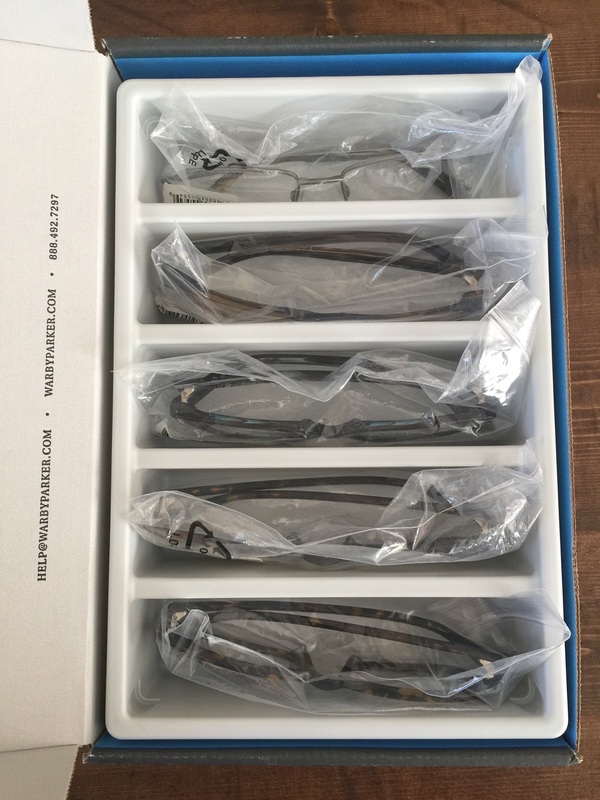 Overall, I had a very great experience buying prescription glasses online and would highly recommend both Warby Parker and if you are in the area, my eye doc (Dr. David Manning of Arkansas Eye Group). He was great, very fast, professional, and very affordable! Total out of pocket expense for the new prescription & the glasses is less than 1/3rd of the cost of my super sweet Nike glasses and I'm really happy with the ones I have from Warby Parker! They are durable and some would say "fashionable". Ha! Maybe I will order super sweet prescription sunglasses! I would still be less than the total cost of my previous pair of glasses and I was so impressed with the overall process that I have no fear about buying another pair online! Let the blogging and writing continue ... now that I can do it free of eye strain! Older PostVincent's new tailgate handle.